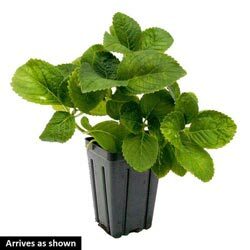 Foliage Type: Rounded, dark green leaves with coarsely toothed edges. Planting Instructions: Best in morning sunlight and afternoon shade. Soil Requirements: Well drained, moist soil is preferred. 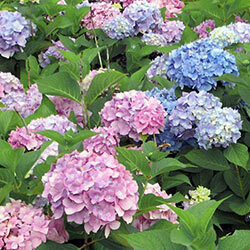 Flower color will change if soil is treated. Pruning: To shape. After flowering. 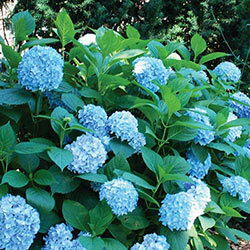 Additional Information: Add aluminum sulfate to your alkaline soil to achieve blue blooms (pH about 5.5). For pink blooms add lime to acid soils to raise the pH to 6.5 to 7.5 range.